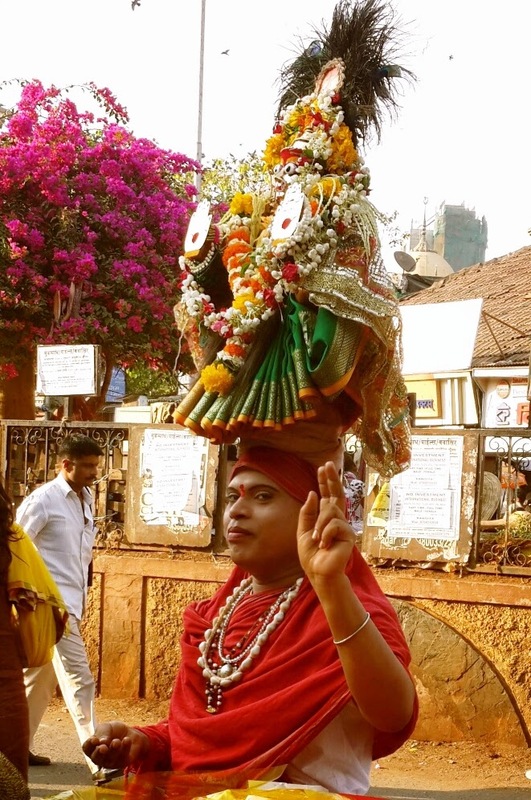 I was walking along Dadar Kabootarkhana yesterday, and I spotted someone going from stall to stall, with the Goddess balanced on the head. It is summer now, and this is the time of rashes and other skin ailments. Mari-aai, also called Mariamman, Renuka, Ekvira or Yellamma, is a major folk goddess in the Deccan/South India. She is very powerful - her wrath can bring disease, but she is equally capable of blessing people. She cures all ailments, especially the pox, she blesses the infertile with children, and brings prosperity to the village. 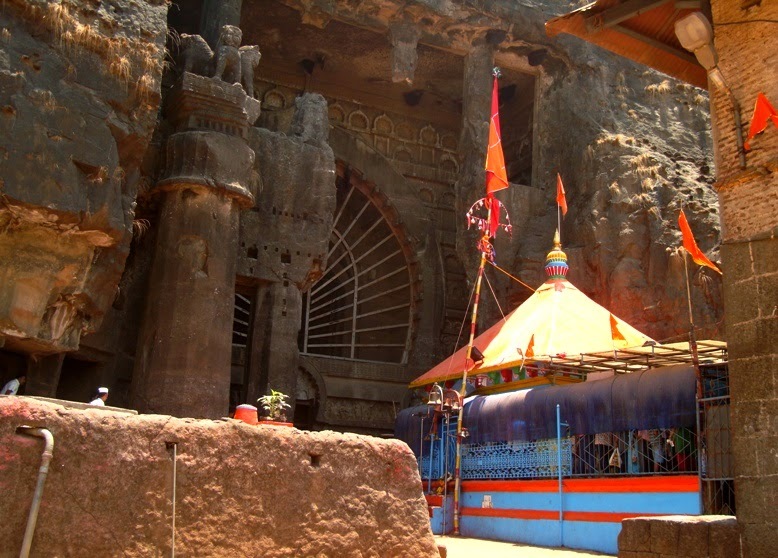 There are several temples to this powerful goddess in Maharashtra - but if you cannot make the journey to the temple, then "no problem" !! You can get the blessings of the goddess right where you are, because she comes a-visiting, assisted by nomadic intermediaries. The person carrying the goddess was a hijra, a third gender person. In exchange for a few coins, many stall-owners at Kabootarkhana were receiving benedictions. Some were offering food products from their stall (fruits, lemonade, etc) instead of coins. The Mariamman/ Renuka/ Yellama legend has particular relevance to the hijra community. The story begins with a Brahmin sage called Jamdagni. He ordered his sons to kill their mother Renuka, who he suspected of infidelity. Four of his five sons refused, and were burnt to ash. The fifth, the legendary hero Parasurama, agreed and beheaded his mother, but accidentally also beheaded another low-caste woman in the process. After the beheading, Jamdagni offered Parasurama a boon, and Parasurama asked for everyone to come back to life. His five brothers came back to life from the ashes, but they emerged as hijras. For the two women who were beheaded, Parasurama wrongly mixed up the heads and bodies, thus creating Brahmin-Untouchable hybrids. This is the origin of the Renuka-Mariamman entity. While Renuka in her changed form went back to her husband, Mariamman or Yellama remained behind to be worshipped by all. The hijra brothers also began to worship this goddes; so even today there are hijra priests in some Mariamman temples. The photo below is from the temple at Sion-Koliwada, which I visited one evening. 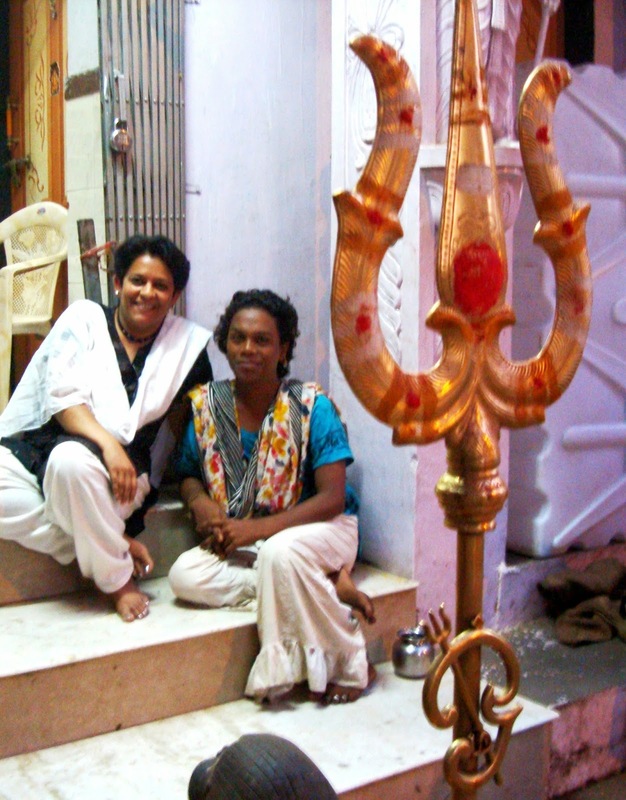 In this temple, the officiating priestess is a hijra, and several hijras live here. They speak Tamil, so I enjoyed my evening here, chatting and photographing. To me, Mariamman is extremely powerful because she allows for social norms to be subverted and taboos to be broken. She also provides a place in society for those not strictly adhering to traditional gender boundaries. 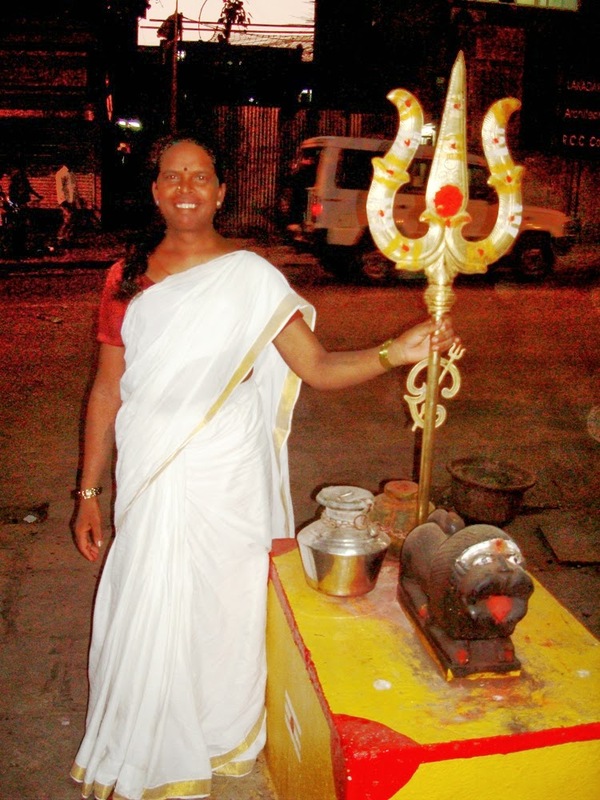 Here is another photo from the Koliwada temple, with a beautiful hijra holding the goddess trident. The goddess goes by many names, and is worshipped in many forms. Typically there are animal sacrifices, as well as other less bloody offerings. 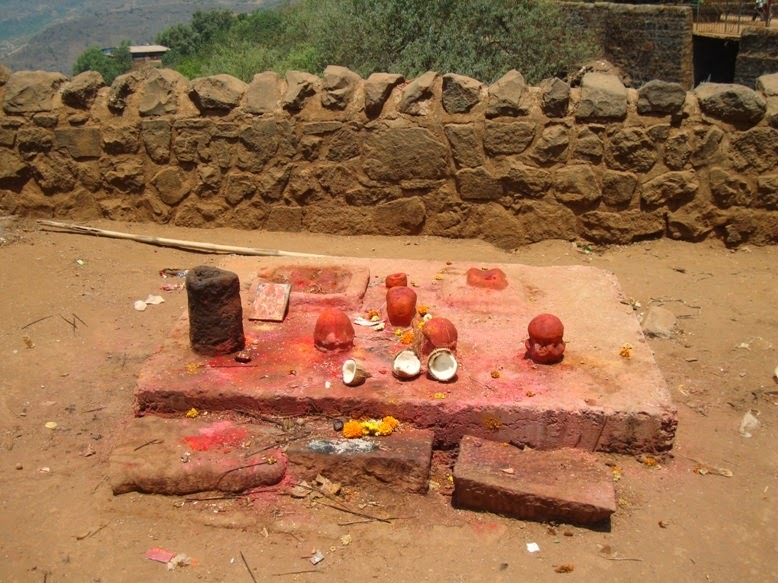 Here is the Ekvira temple at Karla, which I visted a couple of years ago, and their sacrificial altar. On the day we went, there were no sacrifices (we went right after a major festival day), but the remnants of the previous day's worship were still there. Typically chickens and goats are sacrificed to Ekvira. 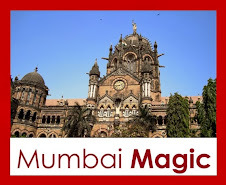 For those who want to read more, I wrote something about the Mariamman festival that I attended some years ago at Dharavi, along with my mother. In that festival, the Andhra community made offerings of a gruel (kanji) made of ragi (millet), flavoured with neem leaves (for protection from disease). There were also sacrifices of chickens and goats. Clearly this sort of folk culture is at great variance with the "high brahmin" version of Hinduism. And it makes many upper caste people uncomfortable. But this is what I believe gives Hinduism its diversity and uniqueness; that it amalgamates all these variants and allows you to pick and choose what you wish. 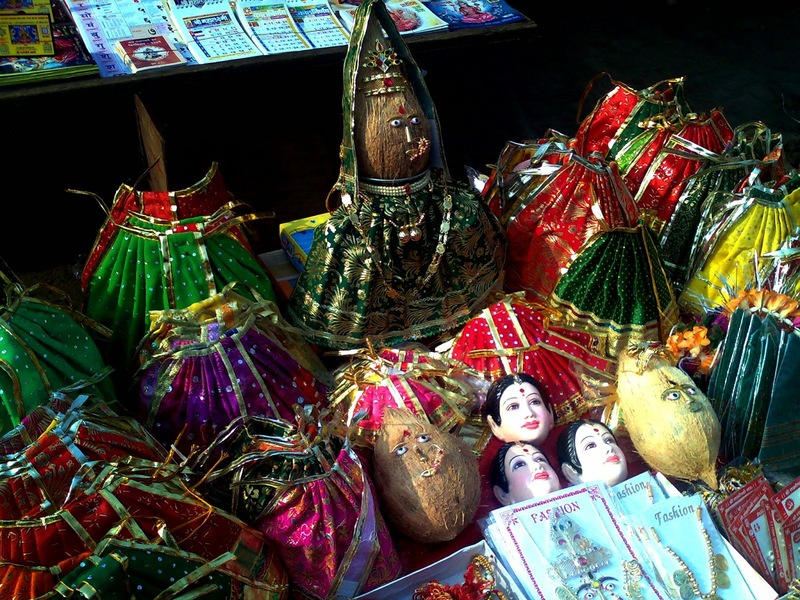 Often, when I spot goddess figurines in the market and I ask people about it, they only say "Devi", the Goddess. Sometimes they say Mata, sometimes Aai (both mean mother). To me it is proof that there is a fundamental sameness that Indian people understand instinctively. Whether Ekvira or Renuka or Mari-aai or Yellamma, whether Mumbadevi or Golphadevi, the message is clear - there is one Mother, and she is the energy source of all living things. Interesting background of the myth. I also like the fact that it subverts the caste issue. One reason Indians find themselves in the state they are in today is the stranglehold of caste, which will negate any progress made. Even as a child I was unconvinced of its validity, and my education in science, particularly biology, supported my conclusion that caste had no genetic basis, unlike eye or hair colour! After all, at one not so far back point in time, we were all hunter-gatherers on the African plain, and one 'caste'. It has only lingered on as a means to exploit people who were regarded as powerless. It is an offensive and regressive system that any rational society would have outlawed a long time ago, much as slavery was in the USA, or apartheid in South Africa. Loved this post. 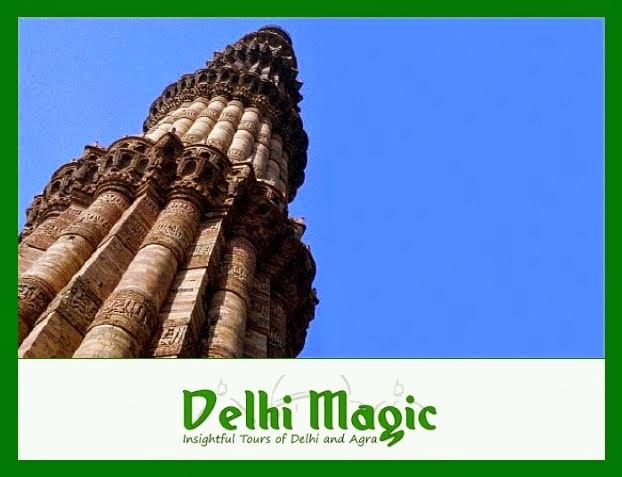 I have seen these temples in rural areas but after reading your entry I am definitely going to pay more attention and try tofind out the stories behind these deities! This blog is an absolute gem!. I have enjoyed every minute spent here. 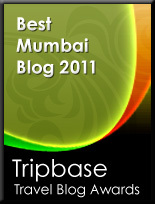 My favorite is the post on the double decker buses of Mumbai. I am sure I will keep coming back for me! Remembered this post of yours when I came across this yesterday.